A Raven soars below as we walk above. Freedom to roam is freedom indeed. Terrific feather detail you’ve captured here, Mike. I know not every one likes ravens, but I think they are fascinating social creatures. 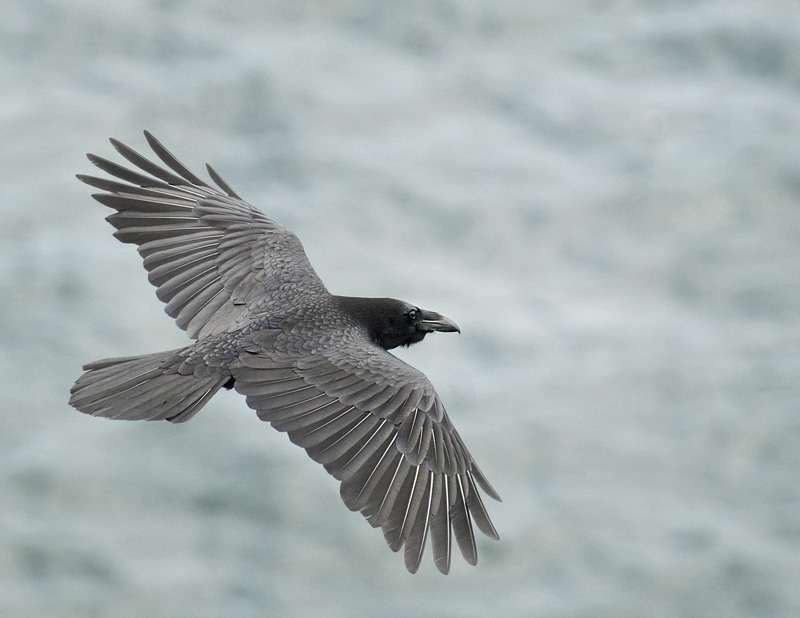 Marvellous shot of a raven…they are very much protected in the UK, not that that means much these days. Oh my gosh, that is a beautiful photo. You show that birds are real masterpieces of nature.